The company basically provides Security and Manpower services on contract and undertakes investigation for industrial and personal cases of all types. The company has established a good name and reputation in the market. We provide our services for finding the details of present and past employed personnel. Our information also includes providing information about whose cases are pending in labor / industrial courts. We also investigate the criminal, labor, industries cases against the candidate. We render our services to corporate sectors that enable our clients in reducing their liabilities. Employment verification is done to ensure that our client hires the right & appropriate employee. This not only benefits the client to operate the business efficiently, but also cuts down the risk of employee frauds. 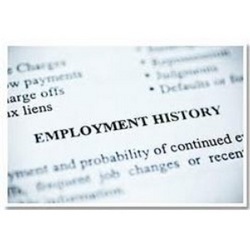 To investigate discreetly the past and present employment of a candidate who could have been terminated due to several individual or administrative grounds and to locate any dispute with Labour Court. Top Registerd Post Employment Verification servixce in Pan India. The post employment verification services offered by us deals with the detailed screening of employees. The services includes about the investigation of internal fraud, theft, misappropriation of information, Copyright, patent and trademark infringement and industrial espionage . We carry out the evaluation and prevent any of the confidential information to be leaked out. Adriot belongs to a highly experienced team who can handle the cases pertaining to internal frauds. Being the leading firm in the industry, we are master in providing Post Employment Screening Service. Our entire services are quality assured and are executed as per the set guidelines. The complete referral form is filled as per the set industry guide-lines. 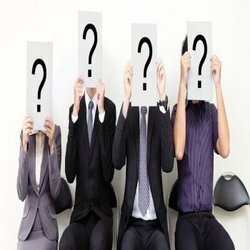 Terrific Eye Detective agency India is a highly recognized name in the corporate world as well for being among the top notch Private Detective Agencies in India. We help our esteemed corporate clients in carrying out Pre as well as Post Employment Verification services, by conducting a detailed check of all their employees. We are providing Post Employment Verification Services in Pune and Maharashtra. Post Employment screening refers to either investigation on existing employee activity / check in cases of suspicion or also in cases of ex-employees whose cases are in the Labour court / tribunals to establish that they are gainfully employed and legally not eligible for reinstatement or back wages claims.